To say we are Lindsey Vonn fans is a complete understatement. My oldest daughter wants nothing more than to be a ski racer and idolizes Lindsey. When Bounty gave me the chance to interview the four-time World Cup overall champion, I was thrilled. 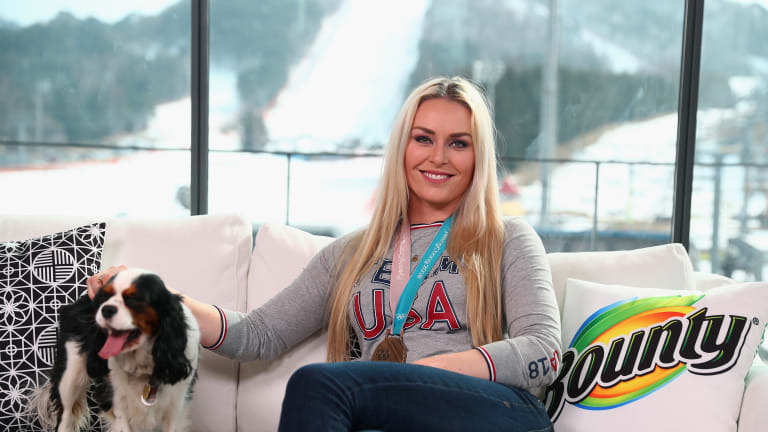 For me, catching up with Lindsey Vonn after the Olympics is a total treat. I&apos;ve had the chance to meet Lindsey on a few occasions. At press events talking about raising Olympic athletes AND on the mountain. Ski racing is a pretty small world and Lindsey is always generous with her time. 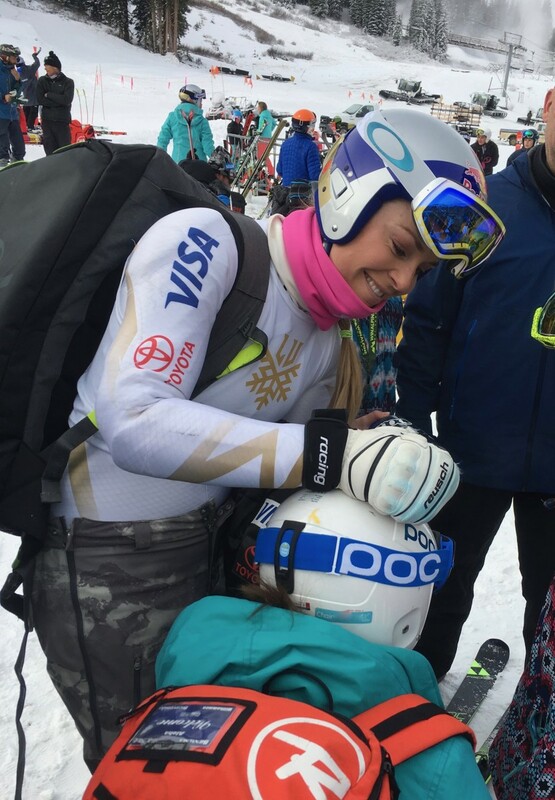 Last November we ran into her at Copper Mountain and she spent a ton of time talking to mini ski racers and signing helmets. We watched Lindsey in all of her events and cheered like crazy! Overall, she had a GREAT performance in PyeongChang. She won the bronze medal in women&apos;s downhill and she tied for 6th in Women&apos;s Super-G. She has so much to be proud of! While her achievements are awe-inspiring, I also know that she has a great support system. Coaches and trainers help her prepare and her family is always there to cheer her on...especially her fur family! And she has sponsors that help fund her travel and pay for equipment. 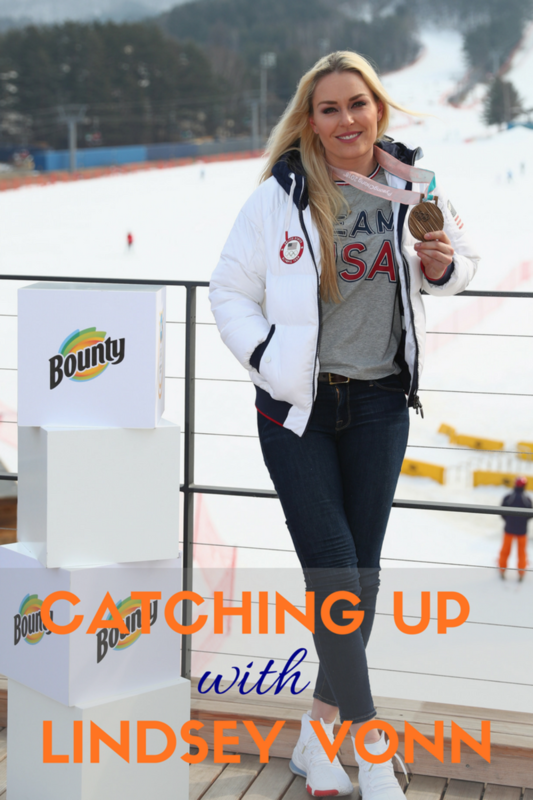 This year, Lindsey partnered with Bounty for the 2018 Winter Olympics. Since she travels with her dogs (one of her dogs, Lucy, traveled to Korea !) it&apos;s handy to have a partner that helps clean up messes quickly. Vonn says, "I do everything fast, but with three dogs in the house, I can’t allow messes to slow me down. The Quicker Picker Upper is the only paper towel I ever use for quick clean up." 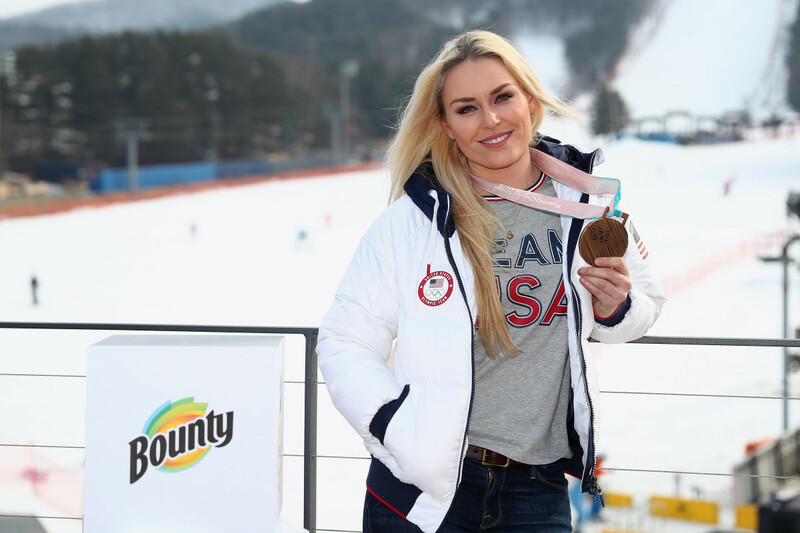 Here&apos;s our Q & A with Olympian Lindsey Vonn! What’s your favorite way to unwind after a hard day of training? When I’m on the road, I like to put on some Netflix and just chill with my dog, Lucy. 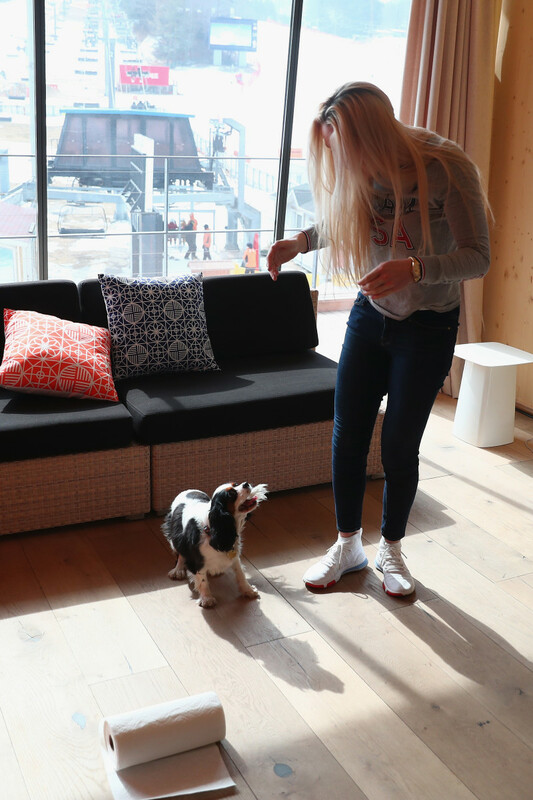 She’s my travel companion and goes with me everywhere – She even recently starred in a Bounty commercial with me, which has been great because Bounty is my absolute must-have at home and while on the road. I have three dogs that cause plenty of messes so it’s really a perfect fit. You shared that you often bring one of your dogs along with your when your train? How does that help you? I feel like it helps to break things up for me mentally. I push myself so hard when training or competing, so it’s so nice to have a member of my family and something that feels like home with me at all times. It also just keeps things a bit more fun and exciting! Skiing involves so much gear, at your level, I know you have a team to help, but any tips for keeping organized? I am not organized at all so I can’t share any tips! I know where everything is and I keep track of all of my stuff – I can even tell when my sister borrows a pair of socks – but I’m definitely not organized to an outside eye! 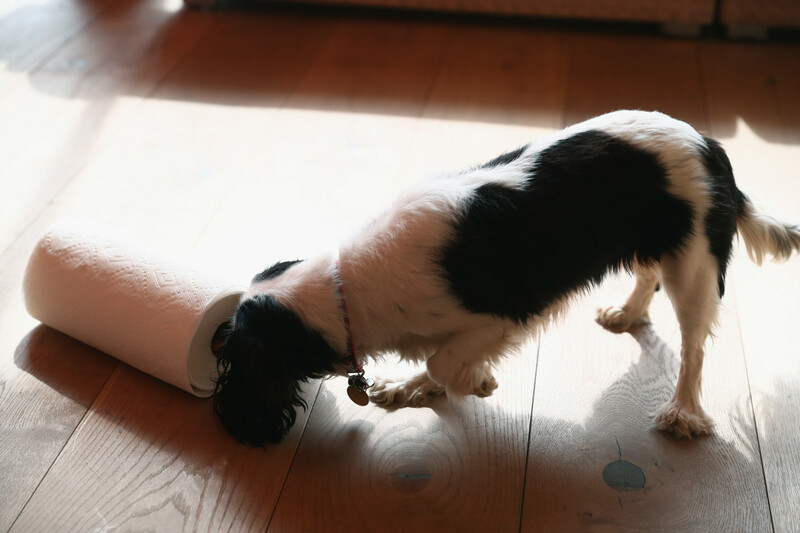 Lindsey TIP: "One of my favorite travel hacks with Lucy is keeping a separate set of toys and a Bounty roll everywhere she goes – cars, planes, hotels – so she’s easily occupied, and I can quickly clean up unexpected messes." If you had an extra hour in your day how would you use it? What’s the hardest part about all your traveling? The hardest part about traveling is coming back to a lonely hotel room every night and also traveling with all of my bags. It’s a pain to have to lug everything around and to be living out of a suitcase for extended periods of time. When you achieve one of your goals, who is the first person you call? Usually my dad. Eventually my entire family – my sisters, grandma, mom – but my dad’s usually my first call. When you fall (hey, it’s a part of skiing!) or have a challenging day on the slopes, how do you pick yourself up and re-group? I say to myself that the next run can be better or that the next day can be better – Just because you’re falling right now doesn’t necessarily mean that you’ll fall the next time as well. Just get back up and try again! How does support from brands like Bounty help you as an athlete? I’m really excited to be working with them and it just made the overall experience that much greater. Has Bounty gotten you out of any jams when it comes to taking care of your pets? Lucy is my traveling companion and keeps me focused in-between all of the craziness, though it can definitely also come with its messes. Thank goodness for Bounty – It’s my number one travel must-have when she’s with me and has always helped me out when cleaning up after her! Your Bounty commercial was so cute! I love the tilted home. Was it fun to work on? So much fun! It was a great experience and even better since Lucy did it with me. A huge thank you to Lindsey and Bounty for making this interview possible! I adore the way brands like Bounty make it possible for female athletes like Lindsey to compete at the highest level. One lucky reader is going to win an awesome ski helmet that signed by Team USA athletes. Share this story to enter to win! Whatever is next for you Lindsey, we will be cheering you on! This is a sponsored post. All images are property of Bounty except fo the helmet one, which is property of Momtrends. No photos may be reused without express permission.